In celebration of its global flagship and largest store worldwide, carmaker Bentley has introduced the ‘SZR by Mulliner’ limited edition, consisting of three special Continental GTC V8 S models, built by Mulliner, Bentley’s bespoke coach building division, to honor the car brand and Al Habtoor Motors’ Dubai showroom. Featuring eye-catching Orange Flame paintwork, a unique interior trim, and Bentley’s acclaimed 4-litre twin-turbocharged V8 powertrain which is mated to an eight-speed transmission, the ‘SZR by Mulliner’ is a testament to both Mulliner’s creativity and Dubai’s innovation. The craftsmen at Mulliner source inspiration everywhere, and despite the challenge, they translate that inspiration into engineering feats. With its innovative fabrics and color combinations, the ‘SZR by Mulliner’ exemplifies Mulliner’s flare and passion through the contrasting Orange Flame and Ghost White paintwork. The striking body kit features an Orange Flame bonnet, radiator shell, windscreen surround and door mirrors, all complemented by the 21” six twin spoke black machined rims and unique treadplates engraved with the words “SZR by Mulliner”. The exceptional tri-tone interior required the creation of a new trim: Sparkle Carbon, developed from meshing carbon fibre, copper foil and metal wire. 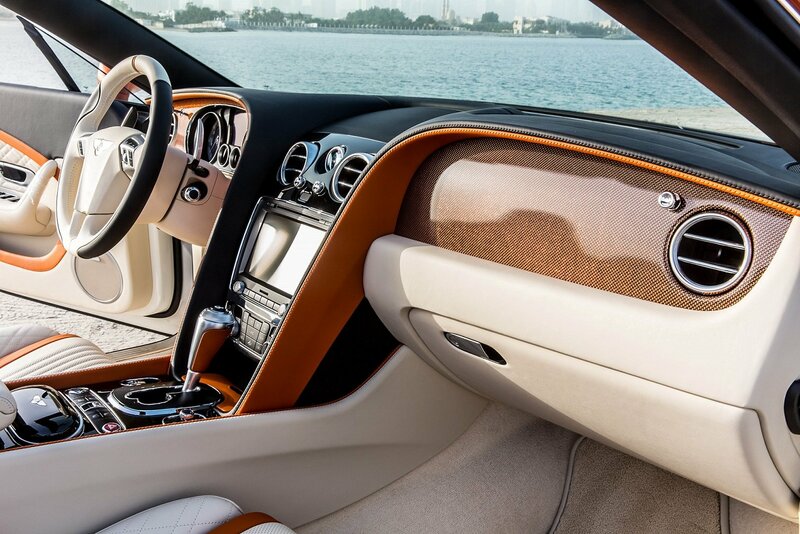 The exclusive interior is elevated with linen as the main hide, with Beluga and Orange touches, fluted seats and Mulliner’s signature diamond quilting. Other touches include Mulliner embroidery on all four headrests and a steering wheel with an orange “12 o’clock” stripe. 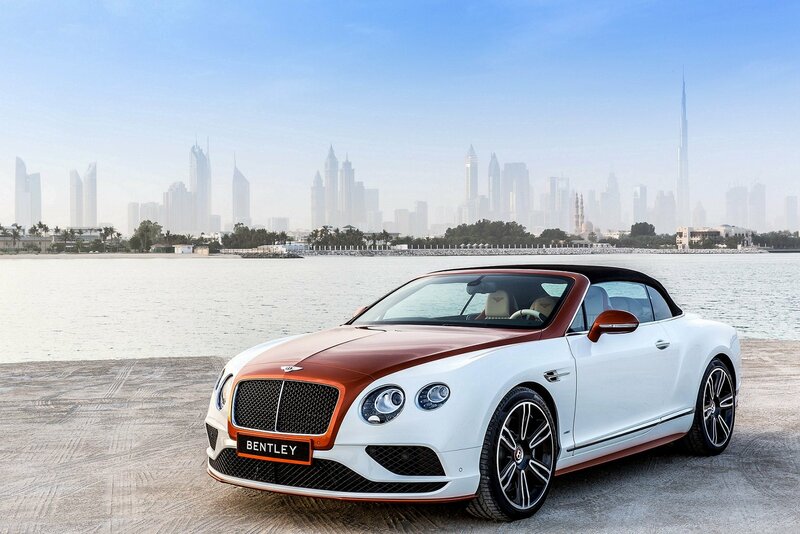 The new limited edition celebrates the Dubai-based flagship Al Habtoor Motors Bentley showroom, the company’s largest standalone dealership in the world, spanning some 75,000² Ft. Designed to go beyond any previous luxury automotive experience, it features one of the world’s most advanced luminary façades, made of 160,000 LED lights.